Hrant Dink commemorative stone, Osmanbey, Istanbul, 2017. Photo: Berge Arabian. A COMMEMORATIVE STONE on an Istanbul sidewalk in Osmanbey startles the unsuspecting pedestrian: HRANT DINK WAS KILLED HERE. The Turkish-Armenian founding editor of the bilingual newspaper Agos was assassinated on January 19, 2007, two years after a court in Istanbul convicted him of “denigrating Turkishness” in an article. Three steps from the shrine stands the building where the Armenian weekly was edited. Fact-checking stories, pondering editorials, poring over galleys, and working deep into the night, Dink’s news team made the Agos headquarters their home. Last year, the directors of the Hrant Dink Foundation enlisted the Istanbul-based architecture and design firm Pattu to partner with artists, curators, journalists, and NGO workers in transforming this location into the 23.5 Hrant Dink Site of Memory. Instead of calling it a “memorial” or a “monument,” as such places are often named, they settled on “site,” conceiving of a space where visitors could access historical documents, meditate on Dink’s death, ask questions, feel empowered to effect change, and reckon with history. Memory was central to all of Dink’s work: As is evident in his writing, he was devoted to excavating Turkey’s Armenian legacy. “Many Armenians left the country before me, but they did it silently, without trace,” he said in 2005. As a child, Dink spent summers at a camp where Armenian orphans studied in a communal atmosphere; he met his future wife, Rakel, there. In college, Dink fashioned himself as a leftist, and in 1980 he was briefly detained and tortured by the military government. Over the following decade, Dink painted houses, sold books, worked as a commercial photographer, and founded a printing press. He launched Agos in 1996. 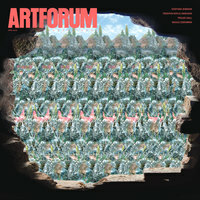 In Turkish and Armenian, the title means “to furrow,” and thus evokes the long and narrow metaphorical trench in which Dink and his fellow writers began planting the seeds of a new culture. The paper’s reputation for discerning editorials and meticulous muckraking attracted a wide readership and, eventually, a right-wing nationalist backlash. In February 2004, an Agos report on the Armenian origins of Turkish national icon Sabiha Gökçen upset officials. Dink received his conviction and was pilloried in the press. Numerous death threats preceded his murder in front of the Agos offices nearly three years later. Sarkis, 75–Grenades Hrant, 2015, stained glass, metal, lead, 30 7⁄8 x 23 3⁄4". Within hours of his assassination, crowds had gathered in front of the building, and more than one hundred thousand people marched in his funeral procession on January 23, 2007. Every year since, numerous locals, young and old, have converged around Agos; actors, journalists, poets, and writers from Arundhati Roy to Noam Chomsky have appeared on the building’s terrace to show solidarity, delivering eulogies and demanding that attention be paid to Dink’s murder and its ongoing investigation. Artists outraged by Dink’s loss began voicing their responses almost immediately. The curators of “Every-thing’s gonna be alright,” a group exhibition at Istanbul’s Apartment Project that opened days before Dink’s death, changed the show’s title to “Nothing goes well.” A dissident initiative, Anti-pop, commemorated Dink with 2007–1915, 2007, a notice linking his death to the Armenian genocide. Istanbul artists, curators, and writers joined forces under the umbrella of the January 19 Collective; their acts of solidarity have included publicly repeating Dink’s words in an attempt to willfully “denigrate Turkishness” anew and organizing an exhibition in 2008 in which the names of those murdered since 1980 in crimes dismissed by the state as unplanned and singular in nature were put on view. In encouraging remembrance, feeling, and discernment, the site is a metonym for Dink, part of his humanistic vision. Remembering Dink through the specificity of this place is something artists have been doing, too. In 2015, the New York–based duo Ayreen Anastas and Rene Gabri repurposed the Agos offices as a “Center for Parrhesia” for the Fourteenth Istanbul Biennial. They exhibited documents on Dink’s murder, programmed discussions, and allowed visitors to access the Agos archives while wisely leaving Dink’s own office intact. That same year, Turkish curator Defne Ayas, one of the Site of Memory’s six local advisers and the then director of Witte de With Center for Contemporary Art in Rotterdam, selected Sarkis for the Turkey pavilion at the Venice Biennale. 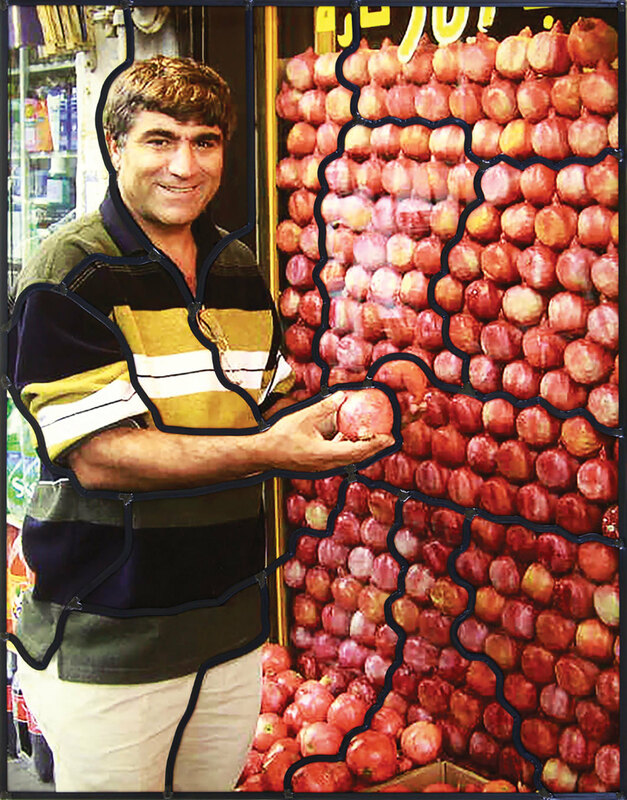 His 2015 exhibition “Respiro” featured a cheerful stained-glass panel depicting Dink against a background of pomegranates. In 2018, the Site of Memory project team commissioned Sarkis to create a new installation—it will “harness pain into a diamond,” the artist says—which is planned for the site’s terrace, accessible from Dink’s old office. 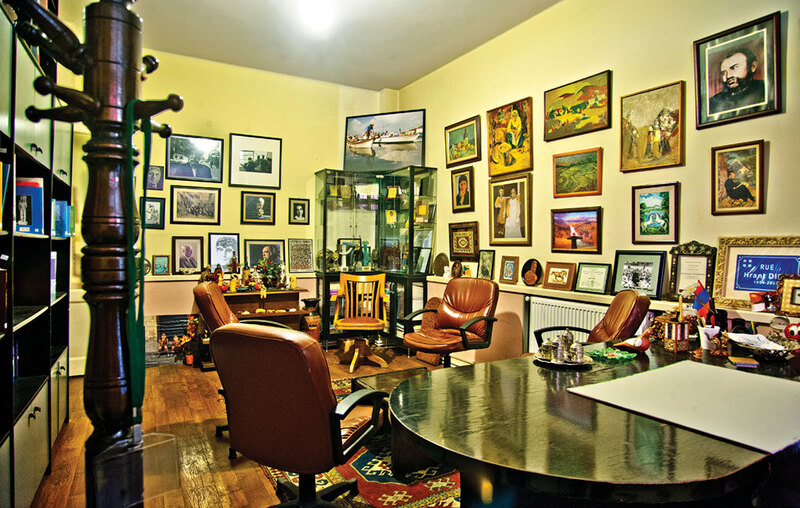 Hrant Dink’s office, Osmanbey, Istanbul, 2015. Photo: Berge Arabian. In 2017, German artists Horst Hoheisel and Andreas Knitz conducted a “counter-monuments” workshop at the Agos offices. (Hoheisel famously proposed blowing up the Brandenburg Gate and sprinkling the resulting dust on its former ground in his application to design a Holocaust memorial.) On March 18 of that year—International Museum Day—Hoheisel and Knitz opened Agos to the public, exhibiting objects collected from visitors attending a workshop the pair had organized on Turkish-Armenian relations: Among these remnants of an exiled culture were a 1912 Ottoman Bible printed in the Armenian alphabet, a pipe from Armenia, a pomegranate-wine bottle, and thyme collected from mountains of Eastern Anatolia. How best to use the 1,560-square-foot apartment? The planners hope to fashion the Site of Memory, with its open archives of Agos’s issues from 1996 to 2007, as a space of reflection. A decision was made by the group to avoid “things that would render objects untouchable, like installing red cordons around the room’s table or library, rather leaving the visitors free to pick and read letters from the latter.” Between 2015 and 2017, team members visited sixty-five museums and places of disaster in eighteen cities: Nazi extermination camps, locations chronicling crimes of the apartheid regime in South Africa, torture centers in South America, and twenty monuments documenting historic transgressions. In Istanbul, they held meetings with scholars from the Constitution Hill Human Rights Precinct in Johannes-burg, District Six Museum in Cape Town, and the Polin Museum of the History of Polish Jews in Warsaw. 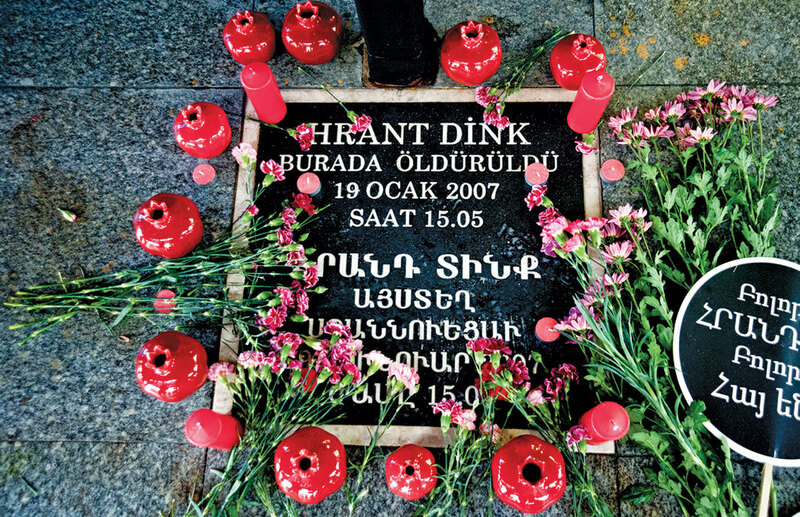 In 2016, the Hrant Dink Site of Memory joined the Inter-national Coalition of Sites of Conscience, a network of 240 memorials from fifty-five countries founded in New York in 1999. Citing Aleida Assmann’s studies in cultural and collective memory, the team conceptualized Dink’s memorial as an act of resistance against oblivion. In encouraging remembrance, feeling, and discernment, the site is a metonym for Dink, part of his humanistic vision. Journalism remains a perilous trade in Istanbul twelve years after Dink’s death. My editor friends working at newspapers and magazines and in broadcast TV and radio feel increasingly uncertain about their futures: A 2017 study found journalism to be among the three most stressful trades in Turkey, alongside military service and a job in the police force. On October 2, 2018, the journalist Jamal Khashoggi was murdered at Istanbul’s Consulate General of Saudi Arabia, a half-hour drive from the Agos office. Turkey surpasses China as the world’s leading jailer of journalists. Meanwhile, the planners of Dink’s murder continue to lurk in the shadows. A time line of the assassination and trial awaits the site’s visitors. The archive spotlights articles ostracizing Dink in the buildup to his conviction, but also on display are private objects, including warm family photographs and Dink’s painting collection, which evoke a disrupted mundanity. The Site of Memory’s unusual prefix, 23.5, refers to Dink’s anguished appeal for reconciliation in a 1996 Agos column published on April 23, Turkey’s National Sovereignty and Children’s Day. In it, he describes the beginning of the Armenian genocide in the early hours of April 24, 1915, and asks how it might be possible to honor Turkey’s light and dark legacies at the same time. “April 23rds are very special for me indeed. It is also the day I got married to my lovely wife. The night that connects April 23rd to April 24th is the night we gave life to our first child. Not April 23rd, and not the 24th. Perhaps that moment is 23.5 April.” The date also marks the Site of Memory’s planned opening: the evening of April 23, 2019. Dink’s legacy will inhabit the infernal space between celebration and commemoration. Similar to the memorial stone and that cloven date, the Site of Memory looks both ways, Janus-like, to our tragic past and our hopeful future. Kaya Genç is the author of Under the Shadow: Rage and Revolution in Modern Turkey (I. B. Tauris, 2016). He lives in Istanbul.